The Super Rich Want To Own Real Estate in Aspen & New York! Currently, Paulson says he only 22% of his portfolio invested in the stock market and 2% of his portfolio invested in gold. A large majority of his current investments are currently in the real estate market. Most importantly, Paulson feels that real estate is the best investment right now. And, Paulson chose to invest in Aspen real estate! 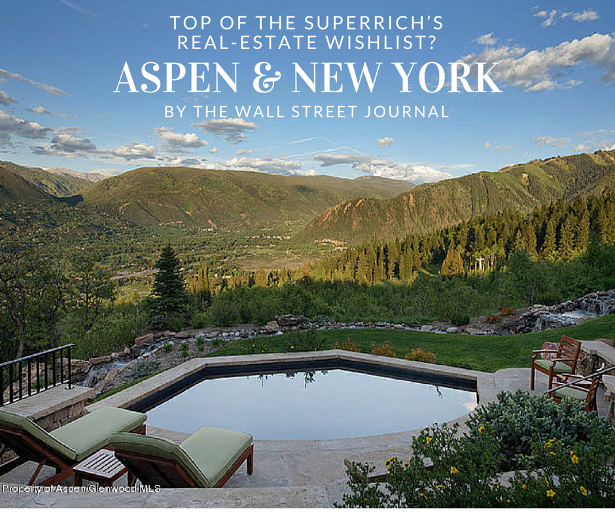 The adage that “proximity is power” rings true, and Aspen4Sale has a great home for sale in Starwood, the gated community where John Paulson owns a beautiful estate. Whenever I’m in Manhattan and ask a client, “What do you do?” their response is typically: “I work in finance (or publishing, real estate, etc. )” The east coast mindset revolves around work and profession, which I understand because work ethic and tireless commitment to results are two reasons I have been able to cobble together a successful career selling luxury real estate in Aspen. In Aspen, however, I’ll ask someone “What do you do?” and their response is very different than a New Yorker’s response. “I ski, I mountain bike, I love fly fishing, I hike, I collect art, etc.” While we work hard in Aspen, our town’s ethos is equal parts passions, activities and profession, career. The Aspen lifestyle is one of our real estate market’s main selling points. Aspen4Sale will highlight a handful of lifestyles on-tap in Aspen, Colorado throughout this on-going series. I decided to kickoff the Aspen Lifestyle series focusing on the skiing and snowboarding culture that makes Aspen unique!